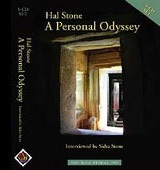 Hal believes that there is a special music or theme that is orchestrated within each of us and - if we listen for this "music" - we will begin to experience our lives as a meaningful journey. He shows us how he has listened for his music; he uses his dreams and memories to trace his own inner process and to understand the meaning of his own path in life. It is his hope that by sharing his journey with you, your life will become a journey as well and you, too, will begin to hear this magical, haunting music, The Music of the Spheres.